You are here: Home » GENRE » Cri-Fi » Narcos: Mexico (trailer). The next series of Narcos shifts the action from Colombia in the 1980s to the origins of Mexico’s drug war (the Guadalajara Cartel in the 1980s as Félix Gallardo – played by Diego Luna – takes the helm). 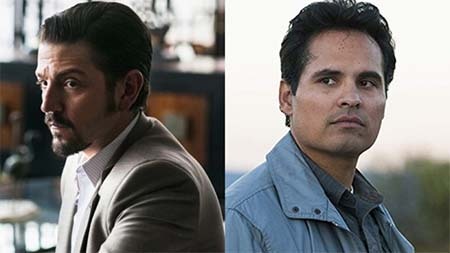 The excellent Michael Peña shifts from the Ant-Man movies to pick up the lead role of the hero as DEA agent Kiki Camarena. Narcos Mexico hits November 16th 2018 on Netflix around the whole freaking world. « Prop it up! Museum of Science Fiction needs your replicas in cash prize competition.